We know how difficult it is to sleep on planes, but we're thinking that the Jumbo Hostel might redefine the experience. 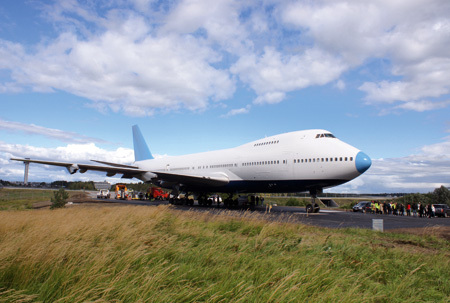 Here's the scoop: A Swedish hostel owner looking to buy a new property near the airport decided instead to take a 747 that was headed for the scrap heap and convert it into an hostel. This August, it was moved to its permanent home just outside of the Stockholm-Arlanda airport, and is in the midst of being renovated to make it into a livable space. In December, will open to the public. Inside the jet, the seats have been removed and replaced with 25 rooms with 85 small bunks (typically three to a room); each is outfitted with wireless internet and flatscreen TVs. 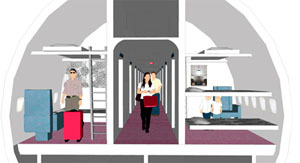 There are also some larger rooms, including the cockpit, which will be converted into a sweet suite with some of the original jet interior still intact. Hungry? There's a small cafe and eating area where you can purchase food or heat up snacks. 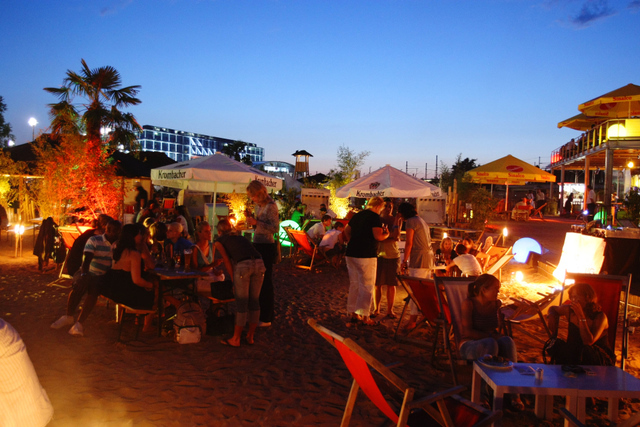 Why we dig it: It's a way more fun alternative to the typical airport hotel, it's recycling at its best, and it's only 10 minutes from the check-in counter at the terminal, meaning you'll only need to deplane in order to catch your flight. Read More: Take your pick when it comes to sleeping in airports between some great advice or an inflatable "motel." Plus, we dished about Green Tortoise tours, which retrofitted tour buses to create hostels on wheels. A Villa for One Euro? You read that right. 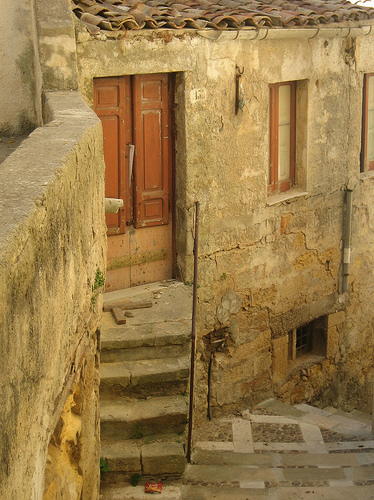 In the picturesque hilltop town of Salemi in western Sicily, the mayor is selling old stone villas in the historic town center for one euro (approximately $1.41) apiece. The catch? These villas were damaged in the 1968 earthquake, and have stood unoccupied and deteriorating for the past 40 years. Sound appealing? Once you buy the villa, you must restore it in two years in a way that respects its original character and in accordance with the architectural standards established by the town council; you must also hire local builders, architects, decorators, and plumbers to do the work, reports Times Online, "since the aim of the scheme is to help the local economy." Mayor Vittorio Sgarbi, a former art critic and culture minister, thought up this idea to restore the 3,700 decaying houses owned by the town, and says that musician Peter Gabriel of Genesis has expressed interest, as well as the owner of the Inter Milan football team. Mr. Sgarbi hopes to turn his town into the next Pantelleria, the nearby island where celebrities such as Gérard Depardieu and Giorgio Armani own homes. If you're interested, check out the mayor's website (click on contatti) or call the town council at +1 39 924 991 111. If you don't have time to restore a Sicilian villa, you might enjoy reading about a magnificent one in The Leopard, written by Giuseppe di Lampedusa, who chronicled the decline of an aristocratic Palermo family not unlike his own. 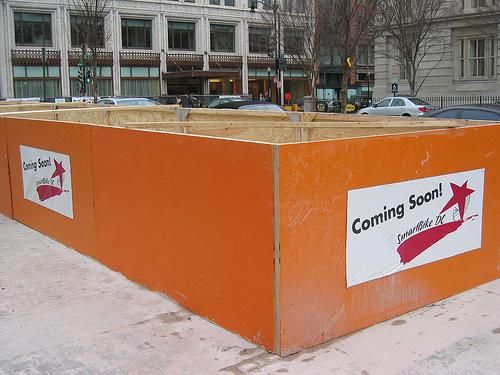 Sometimes I joke that with the high cost of living in D.C., I might someday end up living in a cardboard box. But it turns out my corrugated fantasy might not be so far-fetched: With the opening of a new hotel in Uxbridge, travelers to England can now stay in their own box—a chic, sustainable, well-designed box. 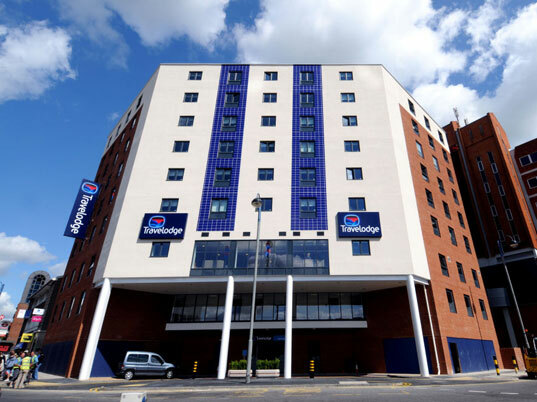 Travelodge recently opened this eight-story hotel, built almost entirely from shipping containers. From the outside, the hotel looks the same as its non-prefab counterparts, but the 120-room building saved the construction company ten weeks of construction and almost a million dollars, Inhabitat reports. Plus, the company recorded a 70 percent reduction in on-site waste. Some critics have turned up their noses at the hotel, arguing that staying in a box must be claustrophobic and crammed, but officials say the size of the rooms are indistinguishable from those in the company's other hotels—and they have a sleek modern design. At the very least, they're certainly more spacious than some of the other accomodations tourists have been frequenting for years. Rooms start about £19. The hotel is not the first building to be constructed from shipping containers (check out this New Zealand home), but it is one of the first such ventures by a major hotel company. Plans for similar hotels are in the works, including one to build a 307-room hotel in Heathrow. There are still some kinks to work out: The containers were outfitted with plaster and electric wiring in China and shipped to England, and it's not clear whether the containers were new or recycled. We'd like to see some used containers being employed, along with local labor. But it's a good first step, and the company says they expect to save up to $18.6 million a year in construction costs through this innovation. 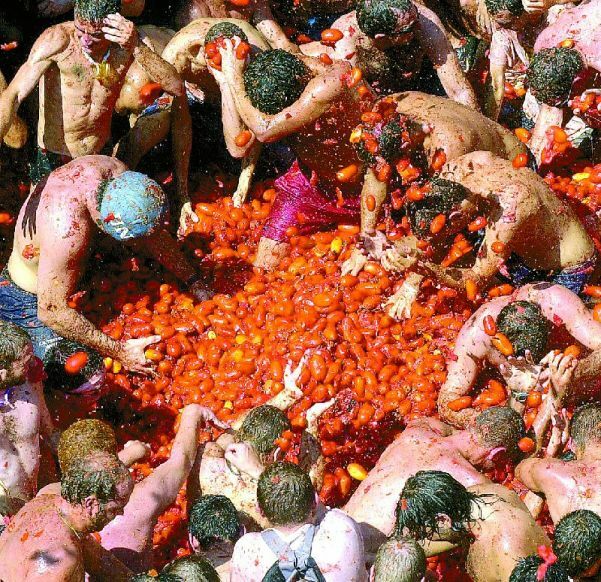 Intelligent Travel friend Megan Sneddon, who last wrote about Fiesta week in Santa Barbara, sends us this fond recollection of La Tomatina, the annual tomato brawl in Buñol, Spain, which takes place Wednesday, August 27. You just have time to book a flight! Voices carried, the echoes resounding through narrow, white-plaster alleys, which were soon to be splattered red. As they reached a crescendo, my friends and I stretched our arms into the brilliant Spanish sky in celebration. Above us, families tossed buckets of water off their balconies; the liquid separated through gray nets that guarded their houses, creating huge droplets which came cascading down. We screamed savagely, proud to have ditched our Education Abroad Program’s discipline lecture to attend the world’s largest food fight (we figured we wouldn’t get reprimanded if we weren’t present to learn the rules). “Ole, ole ole!” We cheered with the crowd as we jumped up and down, and the hot August winds threw dust in our eyes in cadence with the melody of our chants. I chanced a smile at the Spanish strangers who affably rested their arms on my shoulders... just before they ripped my friend James’ shirt off. All is fair in love and war I suppose. We skipped class to attend La Tomatina, an hour-long, tomato-flinging extravaganza that joins both tourists and locals in innocuous warfare – one fought with edible artillery. A culturally diverse crowd of 20,000 flocks to Buñol, Spain — a tiny town just outside Valencia — the last Wednesday of August each year to heave 90,000 pounds of tomatoes at each other for one hour (this year’s Tomatina will take place August 27). Before the festival begins, tradition mandates that the town's most valiant must ascend a grease-covered wood pole erected in the square, Plaza del Pueblo, and retrieve the dangling ham leg on top. 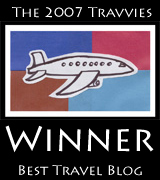 Know of other hotels that should be on our Strange Planet radar? Let us know in the comments below. Sheffield, England—site of the 1997 film The Full Monty—is a small university town in the north of England, which my cab driver assured me is "boring" during the summers, when over 70,000 students stop crowding the streets. I had prepared myself for an uneventful few days, when none other than the hottest day of the year hit England. It was an event in itself. The town was thrown into a full-fledged tizzy. A fuse blew on account of "The Heat," so the wireless went down. English legs that hadn't seen the sun in ages dripped with sweat. The air conditioning for the building I was in had never been used and no one knew how to turn it on. As those responsible for the building temperature apologized profusely for the stifling climate, I looked around to see if this was really happening. It literally couldn't not have been more than 70 degrees. Later sources declared an average, nation-wide high of 77 degrees. So I spent most of the day comfortably outside, along with several drippy, red-faced English people fanning themselves violently and removing progressively more clothing as the nearly never-seen sun rose higher. 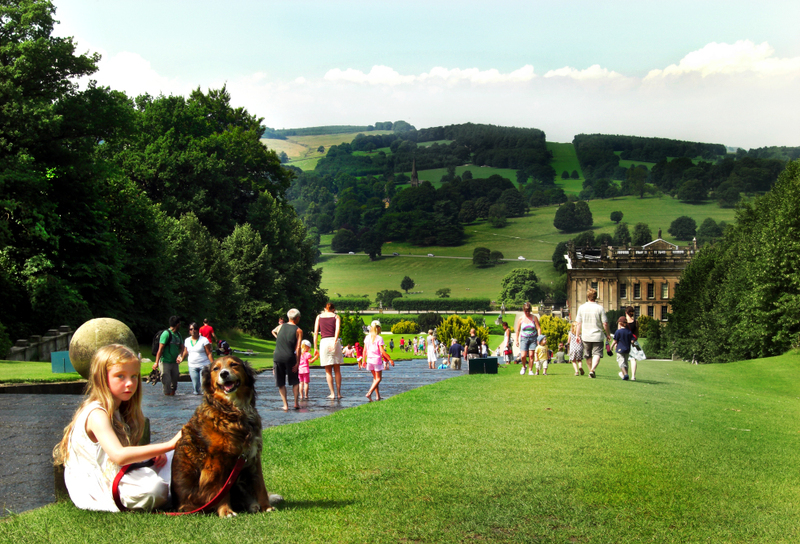 Sitting in the Peace Gardens opposite Sheffield's Town Hall, I watched kids and teens play in the city's fountain, happy to divert my eyes from the increasing amounts of skin being exposed on the grassy knolls. If I can say nothing else about the hottest day of the year in England, I'll say this: It was a scene to make the six out-of-luck steel workers proud. Cheers to that. 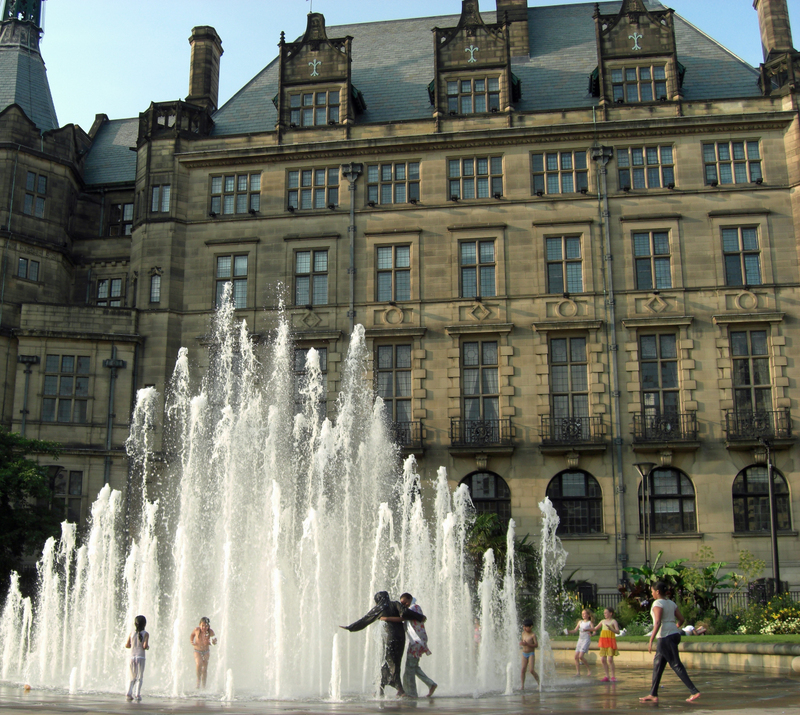 Photo: The fountain at Town Hall is a favorite place to shake off warm temperatures in Sheffield, England. By Alexandra Burguieres.